As many readers will know from my previous posts, I’m a high school French teacher. I’ve been doing this for fifteen years, and teaching is my calling. I love it. I work at an awesome high school where all of the students are amazingly motivated and the parents are supportive, my colleagues are my friends. So as I quit my job to move on to the next stage in life, which is making a permanent move to France this coming summer, I have mixed emotions. For the last year or so I have been thinking very hard about what I’d like to do for work once we’re in Béziers. One thing I know, at forty years old and with two kids under the age of ten, is that I want to plan my own schedule. I want to work on my own terms. I know, after having lived in France before, how wonderful it is to be able to pick up the kids from school and bring them home for lunch between 12 and 2. Also, as I look at the schedule of school holidays in France, I know my family would benefit greatly by my being able to be off with the kids during those times. Who am I kidding? I’ve been a teacher for fifteen years, and I enjoy life with school holidays (coming from someone who has the whole next week off for Spring Break). Sometime last fall I got the idea of teaching English online. I have a colleague who taught Chinese online for a while, and she talked to me about doing the same. I investigated many online language schools, and some are certainly more reputable than others. I sent my CV off to several of the more established schools, and waited to see what would happen. It wasn’t long before I started receiving email responses from several of them. One of them is actually a French online school, but they’re looking to expand to teach English classes as well. They are based in Montpellier, which is very close to where we will be living in France. That’s where they’re based, but given the nature of the business, one can live anywhere in the world. The French owner, who is about my age, is in Thailand for the time being. Another has recently relocated to Tahiti. They all have children, and they all home school them. I’m not looking to home school my children, but I love the idea of the freedom we will have. I actually feel much more comfortable teaching French as a foreign language than English, but that’s just because I have a lot more experience doing that. I have a BA in English as well though, and I think that’s what gives me an edge in the business even though I’ve spent my whole professional life teaching French. I went through several Skype interviews over the months of December and January, and finally I was hired! 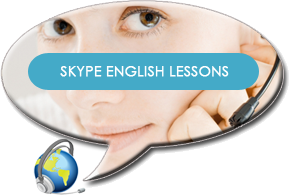 I’ve given a total of 8 classes via Skype so far. These classes have actually been in French rather than English, even though I’m not a native speaker. At first, I was very nervous about it. Fear of the unknown! After the first fifteen minutes, I was once again at ease. It’s so much fun. You just use the chat box like you would a white board. I’ve also started creating free French lessons on YouTube. This is just for fun, and there are only three lessons on my channel so far. I put a link to my YouTube channel at the top of my blog page. I’m going to try to put up at least one lesson per week and we’ll see how that goes. I wanted to get started with this new method of teaching right away, so that I could become familiar with it and hopefully get established before moving (and before my teaching paychecks stop this summer). Looks like I’m on the right track. I’m also getting a website, business cards, and flyers ready for one-on-one English (or French) classes in Béziers. Wouldn’t it be great if this took off? Call me an eternal optimist, but I really think I will find success in this venture. I always see the glass as half full, and so far that’s worked out very nicely.